Exposure: the magnitude, frequency, duration, and geographical coverage of environmental pressures experienced. Sensitivity: the extent to which social equilibria are altered or affected by change. Adaptive capacity: the ability to evolve to accommodate changes in the environment and to increase the scope of the variability it can cope with. I argue that pastoralist livelihoods are particularly vulnerable to climate change, referring to the case of the Maasai in Kenya and Tanzania for empirical support. It is worth identifying the two fundamental characteristics of pastoralism: animal husbandry and nomadism. The Maasai are well known for owning cows, goats, and sheep, and today still roam a total of 160,000 km2. It is these features that underlie the vulnerability of pastoralism. To sustain their livestock, pastoralists tend to live in rural environments that allow for free movement to locations with sufficient natural resources. 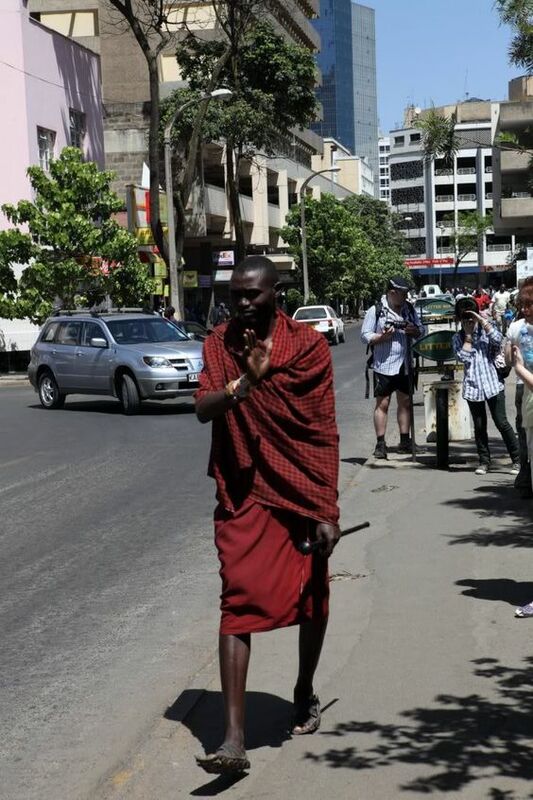 This lifestyle involves greater exposure to climate patterns, and the Maasai are severely impacted by draughts for example. Currently East Africa, and Kenya in particular, faces a draught that has persisted since 2016, with higher temperatures, a longer duration, and greater geographical range relative to previous occurrences. The Maasai livelihood is sensitive to increasingly intense climate change. The draught has substantively reduced the area suitable for grazing cattle, forcing sedentism and diminishing the viability of maintaining livestock. In other words, the existence of pastoralism as an identity and as a livelihood strategy is under attack. Maasai are above all people-of-cattle, and it is thought that all other values originate from this central commitment. Additionally, the quantity of livestock is an important determinant of social status and wealth. Lastly, their cattle provide nutrition, as well as financial capital for food, tuition fees, and other basic necessities. Therefore, pastoralism is undermined by the decrease in natural, social, and financial capital as a consequence of changes in climate, demonstrating its sensitivity. Finally, the adaptive capacity of individual pastoralists themselves is likely to be sufficient. The Maasai, for example, are progressively becoming educated, preparing children for employment in formal economic sectors. Alternatively, people migrate to nearby cities (e.g. Nairobi and Arusha), start agricultural cultivation, or trade in goods like charcoal and sand. However, these forms of income diversification come at the cost of a pastoral livelihood, threatening its preservation as a way of life. Bottom line: Pastoralist livelihoods are vulnerable to climate change as its fundamental characteristics are exposed and sensitive to environmental pressures, while adaptation comes at the cost of their traditional lifestyle. I enjoyed reading your article and can definitely see why pastoralism is particularly sensitive to climate change. I think that a key factor that affects pastoralists’ ability to cope with external stressors, including climate change, is the changing land tenure system. The free movement of livestock is undermined by the fact that governments, and often pastoralists themselves, are demanding private land tenure rights. Privatization in turn further fragments the landscape and can keep pastoralists from accessing important natural resources. I think it is also very interesting to see how people are actually trying to adapt their lifestyles. You mention that people are diversifying into agricultural cultivation, which does not really seem like the most suitable solution, given the local climate. I wonder how sustainable this option could actually be in the long term. Furthermore, trade in charcoal also doesn’t seem like a sustainable alternative, given the impact that it has on the environment. This makes me wonder what costs these changes have, not only on the traditional way of life, but also for the ecosystem.